Happy Monday! 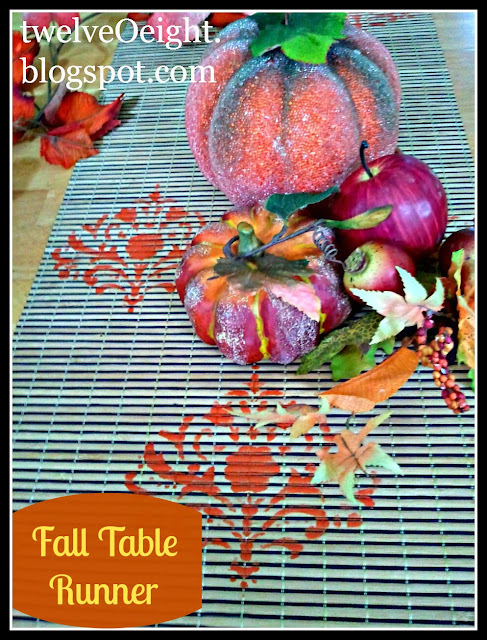 I hope all y’all are having a wonderful morning, and would like to invite you over to see how I made this Fall Table Runner. I am Guest Posting over at Mom It Forward today, and hope you can join us for some Awesomespice Fall craftiness! What a lovely table runner!